It’s been a while since Yggdrasil announced any updates for their table games department. 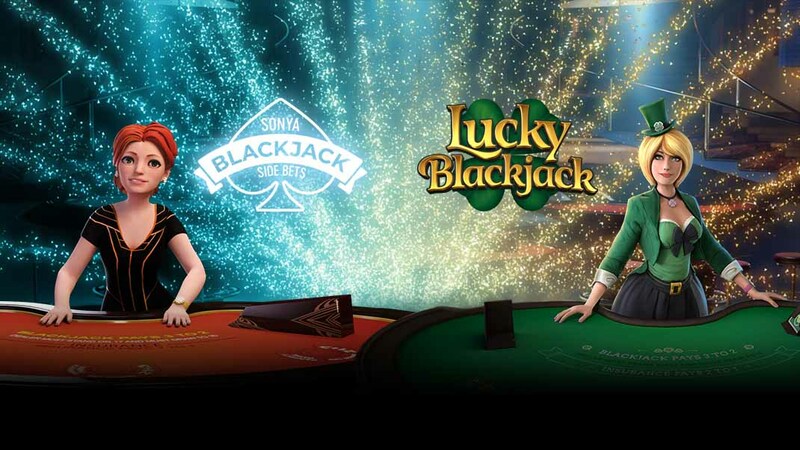 And now the time has come to reveal their second game in the innovative and immersive 3D-dealer portfolio, Lucky Blackjack, and make some side bet changes to the first game, that is Sonya Blackjack. Here’s what you need to know. Yggdrasil announced their first game in the “ground-breaking motion capture technology” series in summer 2018, featuring a machine-rendered live dealer who mimics real croupiers, for added realism. However, players who are not fans of game’s default point of view can always change it by holding Shift on their keyboard and using the mouse wheel to zoom in on the table for a more close-up experience. The games are built on its proprietary technology platform REDUX, which makes possible for up to three players to sit at a single table for a truly interactive and shared casino experience. Sonya Blackjack made its first appearance at Jackpotjoy casinos like Vera&John, but is only now available with two side bets, Perfect Pairs and 21+3, plus a few more features. That includes pre-decision and swifter animations, which should result in faster gameplay, and a new element with a Picture-in-Picture History feature, which you can use to take a look back at your previous cards. The brand-new Lucky Blackjack comes with two different side bets, Lucky Lucky and Lucky Ladies. The former is based on the player’s two cards and the dealer’s up-card, and where hands that total 19, 20 or 21 are winners. The Lucky Ladies side bet counts only player's first two cards, which have to total 20. For their payout variations, check game rules in the settings, which also includes RTP values for each selection. In terms of gameplay, both blackjack games are played with 6 decks of 52 cards per deck, which is reshuffled at the end of each round. A push or tie returns the bet to the player, the dealer must stand on 17 and must draw to 16. Game limits are €1-€500 for the main bet and €5-€500 for each side bet. The revamped Sonya Blackjack is already available at featured Yggdrasil casinos with Lucky Blackjack soon to be available as well. As reported earlier, the developer is also working on the same type of roulette and baccarat games, so stay tuned for that as well.